JC is classically trained in drawing and painting in oil and pastel. Studied at the Art Students League, NY; apprenticed with Daniel E. Greene N.A. – studied color and painting techniques (oil and pastel) with special emphasis on portraiture, always with an emphasis on working from a life model. JC has been an instructor at the Pelham Art Center for 21 years. She has also taught around Westchester County, including Concordia Conservatory of Music & Art and Collage of New Rochelle. 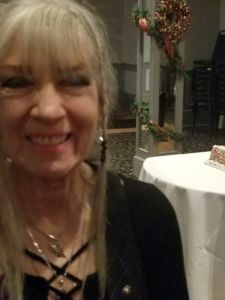 Her work has been in many juried exhibits such as Salmagundi Club, Audubon Artists, American Artists Professional League, New Haven Paint and Clay Club, and Hudson Valley Art Association. Her work is in many public and private collections. Upcoming solo exhibit at the Poe Park Gallery in the Bronx, November 2018.